The wonderful reflections of the beauty of the Creator is lost, only in our foolish minds, in the twirls and eddies of the life’s ups and downs. This entire world and all its creations and events are a magnificiently-polished mirror whereupon reflects perpetually “The Light of the Heavens and Earth” the light of my Allah without whom no beauty ever possible. Or another meaning could be, all the troubles of this life are drowned like swirls and waves into the vast ocean of Allah’s beauty. Or yet another meaning could be that Allah’s beauty is reflected upon/into the waves and eddies of the waters of this world. That means by looking at these waves we see the reflection of beauty of Allah. When we look upon this mirror we are so taken with the beauty of Allah that we are like an eddy devoured by the sublime whirlpool of the beauty of the Creator. Secrets of heart and loving just like the hidden treasures underneath the earth can only be uncovered by means of breaking up the surface and reaching deep to retrieve. When Allah commands for your heart to broken, that is the moment, that is the edict for unearthing the treasures of your heart. For you to see and cherish for others benefit from what is deep inside your heart. Allah breaks not your heart out of any malice or cruelty. These wounds are means by which your treasures surfaced for all to value. "The Arabs of the desert are the worst in Unbelief and hypocrisy, and most fitted to be in ignorance of the command which Allah hath sent down to His Messenger. But Allah is All-knowing, All-Wise." I cannot believe that this distinguished man would use such racially offensive term to attack the race of Arabs. I believe the word used for uncultured ignorant Bedouin like folk. I learned from Baba Tahir Oryaan that most of us the slaves and worshipers of Allah are rude with such crude mannerism!? Apparently those days in the past, worshippers were concerned about their politeness and refined behavior and mannerism in facing their Lord. “Owner of all submissions” is Allah to whom belong all prostrations and bows. Baydel says listen you do need millions of prostrations to get the attention of your Lord; you need one polite humble one. And if you are able to observe such mannerism then opens to you thousands of places and times of worship (Mihrabs) serene with your Creator. Else you can look for this Mihrab for eternity and you will never find one. This verse is really convoluted and most probably I did not get the meaning right. When a fisherman manually throws a net into the sea, he needs to fold it several times to be able to cast afar. So perhaps he meant looking for happiness in this life is like folding a net several times, maybe you catch fish may be you wont! Again hard to decipher, Baydel says for the enlightened souls broken hearts and hardships of life are just more light for them like the light reflected from the blade of a sword and this blade as scary as it is actually never cuts the person. Also he adds, that like an ocean when the heart breaks tremendous power of movement of waves (life pushed in a different direction) is caused for better. No matter what happens to you and no matter how your life and death shall come to pass your heart is like a diamond unscratched! Nothing and never can chafe your wonderful heart. 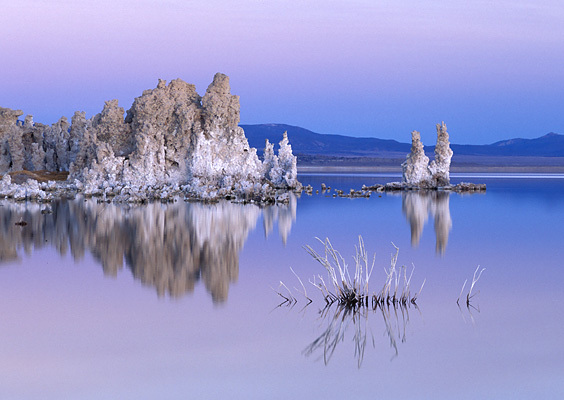 Background: Mono Lake where there are bacteria living in harshest of all conditions. This poem was Baydel's way of asking us to be human beings in bad conditions.